To challenge persistent inequalities of Indigenous women and their children through culturally rich and responsive arts based practice and research that facilitates positive and sustainable health outcomes. 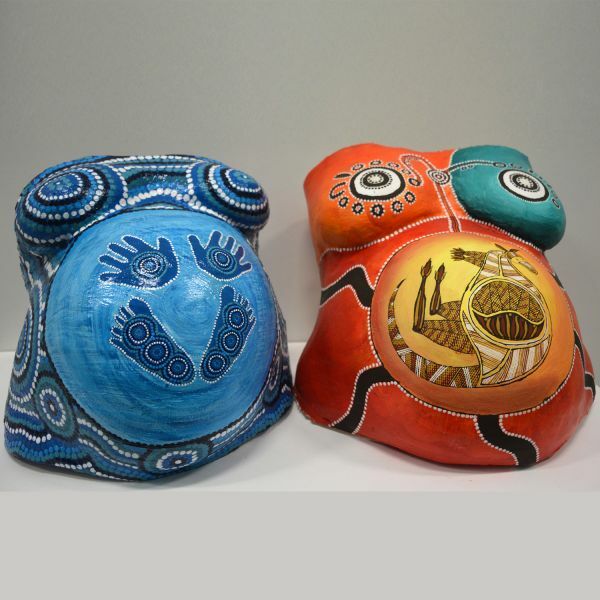 The Gomeroi gaaynggal Centre, University of Newcastle, is a community, arts and health research centre based in the regional centre of Tamworth, located in the Hunter New England region of New South Wales. Tamworth has a population of over 59,000 people and 10% of the community identify as being of Indigenous origins (Australian Bureau of Statistics). Whilst this is the national data it is worth noting that these percentages are an underrepresentation due to residents not identifying as Indigenous in the Census. Tamworth is based within the Aboriginal land of the Kamilaroi people. The Indigenous people in this region identify as Kamilaroi, Gomeroi, Gamilaraay and Gamilaroi. Gomeroi gaaynggal means ‘Babies from Gomeroi lands’. This name was chosen in consultation with Indigenous community members when the program initiated in 2007. Outcomes for Aboriginal and Torres Strait Islander peoples has been substantially less than their non-Indigenous counterparts in all measurable health, education, and socio-economic outcomes. Aboriginal and Torres Strait Islander peoples suffer significant morbidity and mortality related to a high burden of chronic diseases. This is experienced by other Indigenous peoples internationally including, the First Nations, Inuit and Metis peoples of Canada, and the Maori peoples of New Zealand. The Closing the Gap social justice campaign was launched in Australia to address the disparities in life expectancy with Aboriginal and Torres Strait Islander peoples and close the gap within 25 years. The National Indigenous reform agenda has established targets in the areas of health, education, early childhood engagement in education and employment to address these discrepancies. Additionally, the national research priorities for the Australian Federal Government, and the National Health and Medical Research Council (NHMRC) all include; ‘prioritising research to improve health of Indigenous peoples’. In particular, the NHMRC Strategic Roadmap 3 (2018) has a focus to support Indigenous research with a ‘focus on culture and its relationship with Indigenous health’ and ‘chronic conditions, including … diabetes, kidney health and cardiovascular diseases’. This NHMRC focus is supported globally by the Global Alliance for Chronic Disease who are particularly interested in chronic disease research with Indigenous populations of Australia, Canada and New Zealand. The Gomeroi gaaynggal Centre and its programs use innovative and creative approaches to address Close the Gap on a local, national and international stage and have a focus on the physical health, social and emotional wellbeing of Indigenous communities, particularly the mothers and children who participate in our programs.